Lee Seung Gi says Kang Ho Dong has changed since they last met on the April 21 installment of 'Knowing Brothers'. 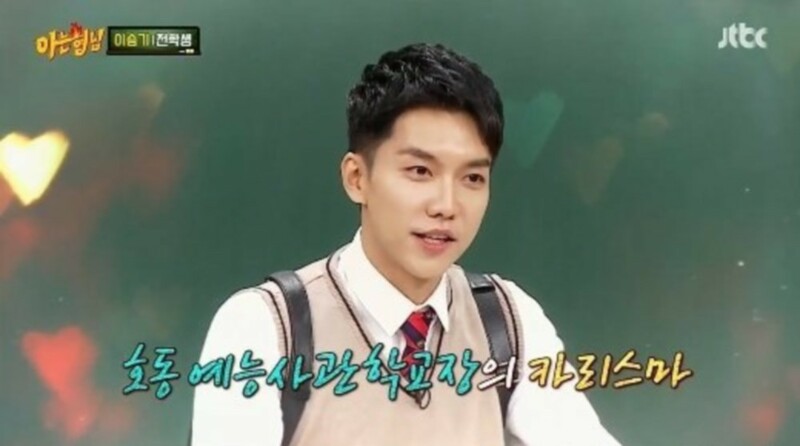 After reuniting with his variety show mentor Kang Ho Dong, Lee Seung Gi expressed, "The Kang Ho Dong I remember was the head of the school. He had charisma and an absolute power that you couldn't overcome. He was an amazing, strong hyung, but I feel like he's gotten weak now. "�Min Kyung Hoon�then responded, "These days, I've been taking care of Kang Ho Dong." As for whether Kang Ho Dong contacted him before Lee Seung Gi enlisted in his military service, the singer revealed, "He didn't come on my enlistment day, which I didn't expect. He didn't even give me one call either." Are you glad to see Lee Seung Gi and Kang Ho Dong reunited?